Studio description: 25 sq. meters studio rooms with private balcony with view. Fully equipped kitchen with hair dryer, mosquito screens,refrigerator, coffee-maker, toaster, electric tea kettle. Private bathroom, air conditioning, baby cot available. Flat screen TV with terrestrial and satellite channels, WIFI with strong signal, safe box and security key card. Studio description: 25 sq. meters studio rooms with private balcony with view. 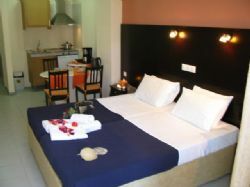 Fully equipped kitchen with refrigerator, coffee-maker, toaster,hair dryer, mosquito screens, electric tea kettle. Private bathroom, air conditioning, baby cot available. Flat screen TV with terrestrial and satellite channels, WIFI with strong signal, safe box and security key card. Studio description: 35 sq. meters studio rooms with private balcony with view. 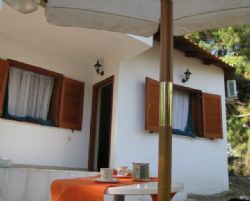 Fully equipped kitchen with refrigerator, coffee-maker, toaster,hair dryer, mosquito screens,electric tea kettle. Private bathroom, air conditioning, baby cot available. Flat screen TV with terrestrial and satellite channels, WIFI with strong signal, safe box and security key card. Studio description: 35 sq. meters studio rooms with private balcony with view. 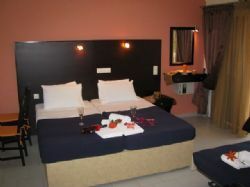 Fully equipped kitchen with refrigerator, coffee-maker, toaster, hair dryer, mosquito screens,electric tea kettle. Private bathroom, air conditioning, baby cot available. Flat screen TV with terrestrial and satellite channels, WIFI with strong signal, safe box and security key card. Studio description: 35 sq. meters studio rooms with private balcony with view. 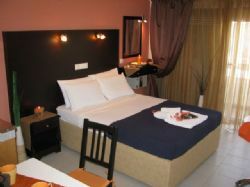 Fully equipped kitchen with refrigerator, coffee-maker, toaster, electric tea kettlehair dryer, mosquito screens,. Private bathroom, air conditioning, baby cot available. Flat screen TV with terrestrial and satellite channels, WIFI with strong signal, safe box and security key card. Studio description: 45 sq. meters studio rooms with private balcony with view. 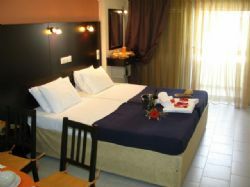 Fully equipped kitchen with refrigerator, coffee-maker, toaster, electric tea kettle,hair dryer, mosquito screens. Private bathroom, air conditioning, baby cot available. Flat screen TV with terrestrial and satellite channels, WIFI with strong signal, safe box and security key card. Studio description: In Kalybia (Potos), within a nice green environment, there is a two-bedroom house with a kitchen, small oven,bathroom, air conditioning,hair dryer, mosquito screens, TV,external wood oven,barbecue, with 800 m2 private area surrounding the house. 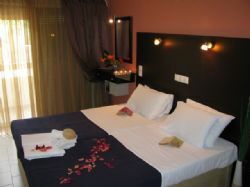 It is located 420 m from Potos Beach, and can accomodate 2 adult couples or a 4-member family. Stage 2 - Select one or more studios (if available) by clicking the "Select this studio" icon. Then, do not forget to continue the reservation by clicking the "Book Now!" icon. Stage 3 - Select method of payment and fill in your details.